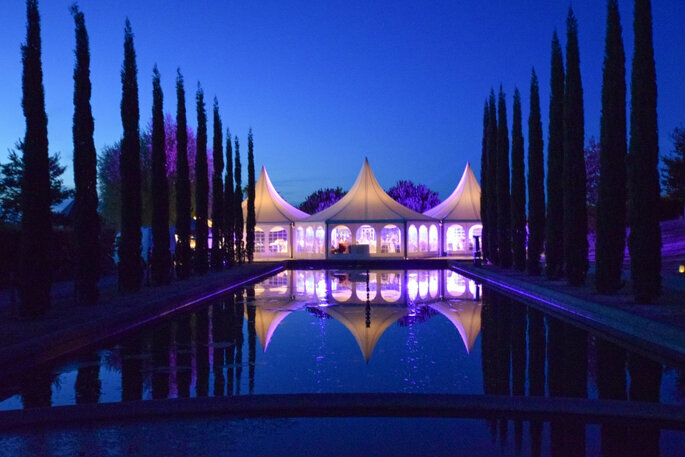 One of the most magnificent venues for a destination wedding in France is, of course, The Domaine d’Essendiéras. 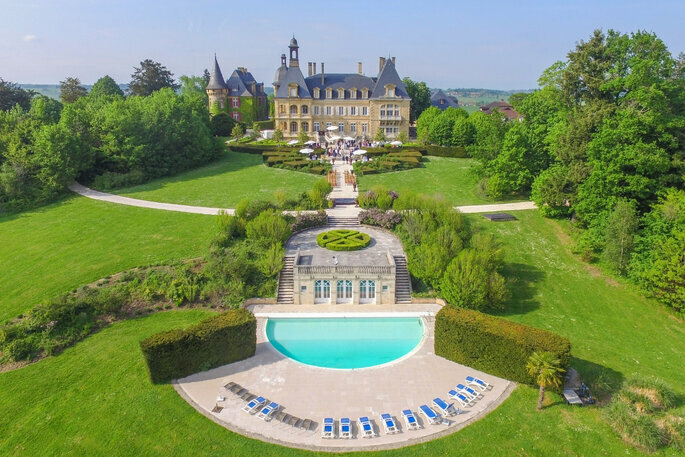 This historic castle has a privileged position on one of the highest hills of Dordogne. While some couples choose to elope abroad to avoid the fuss of a big wedding, others seek a destination wedding for a magical and extravagant affair that’s reminiscent of a fairytale. France is a top destination for authentic romance and charming fairytale venues. It has a long history of artists, architects, aristocracy and royalty – which leaves many palaces, castles and grand countryside mansions at your disposal for an unforgettable wedding. 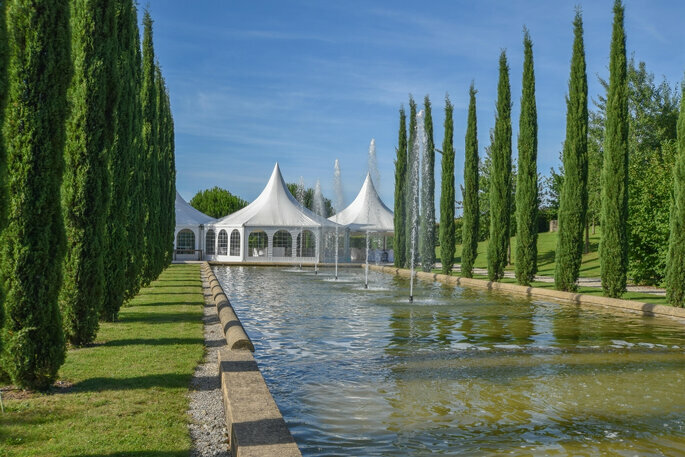 One of the most magnificent venues for a destination wedding in France is, of course, The Domaine d’Essendiéras. This historic castle has a privileged position on one of the highest hills of Dordogne. 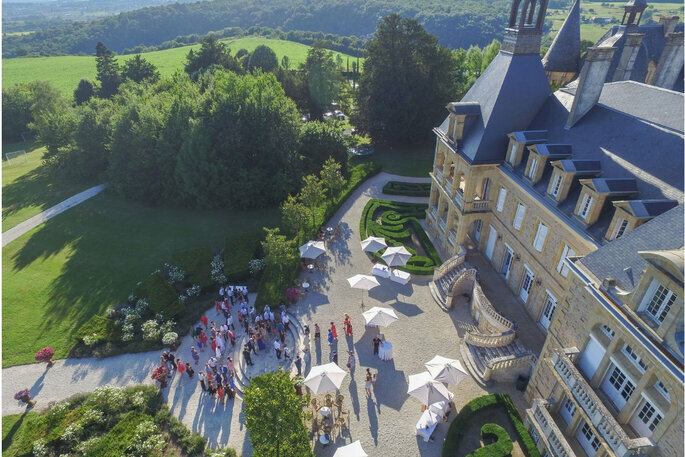 We doubt you or your guests will ever forget the charm and grandeur of this venue, or it’s panoramic views across the Loue river. 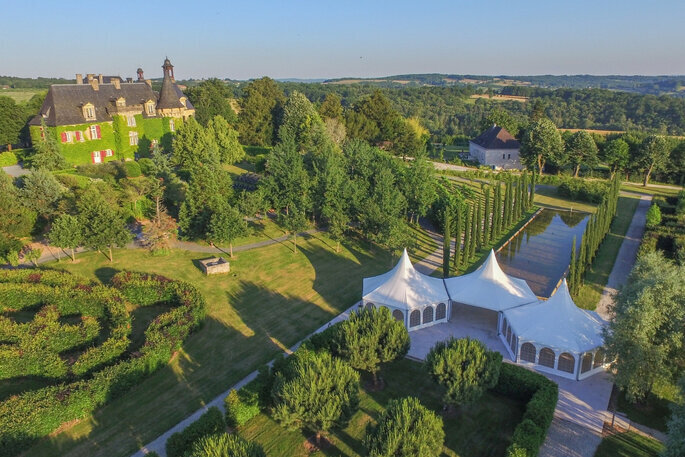 Surrounded by lush scenery as far as the eye can see, Domaine d’Essendiéras is perfect for a rural-chic or fairytale wedding style. You can choose among a number of magnificent spaces for your wedding ceremony and reception. Firstly, there’s the immaculate Grand Chateau with a panoramic terrace that’s great for canapés and welcome drinks. Furthermore the estate has romantic Celtic Gardens and pretty Pagodes with fountains. 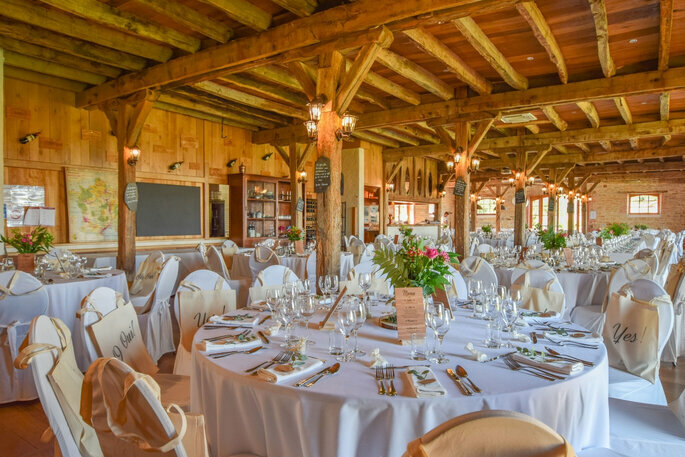 For an indoor space, great for winter weddings, there’s the rustic Clubhouse with a wealth of exposed beams, a grand fireplace and a large dance floor with views of the golf course. Domaine d’Essendieras is not just a pretty space. The venue boasts a highly experienced events coordination team that can exclusively tailor your wedding to suit your every need. They understand exactly what brings couples from all over the world to their venue, and strive to recreate that magic with every event. There is also an experienced in-house chef to provide catering services for up to 250 guests. From the canapés and the wedding breakfast to the brunch buffet the next day – you and your guests can indulge before, after and during the big day. Expect delicious French cuisine with locally sourced, fresh ingredients. 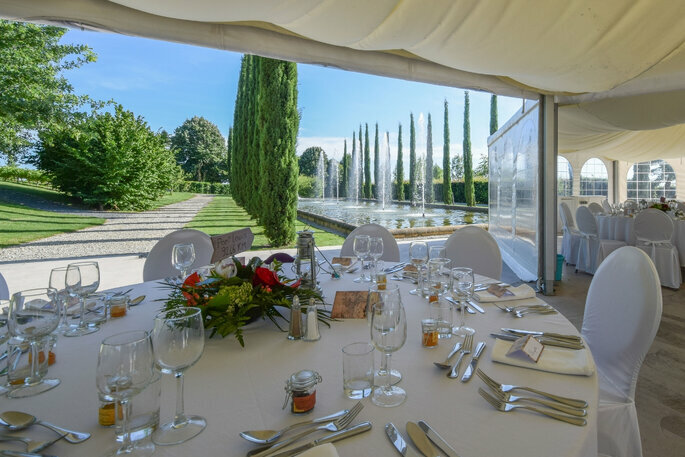 The team at Domaine d’Essendieras can adapt to your requirements and budget, with a range of catering options. Whether you simply want a cocktail party affair, or a full gastronomic experience with many courses of fine dining. The estate can also sleep up to 250 guests, so that’s accommodation taken care of too. There are luxury glamping pods, apartments and a B&B available, all providing maximum comfort. 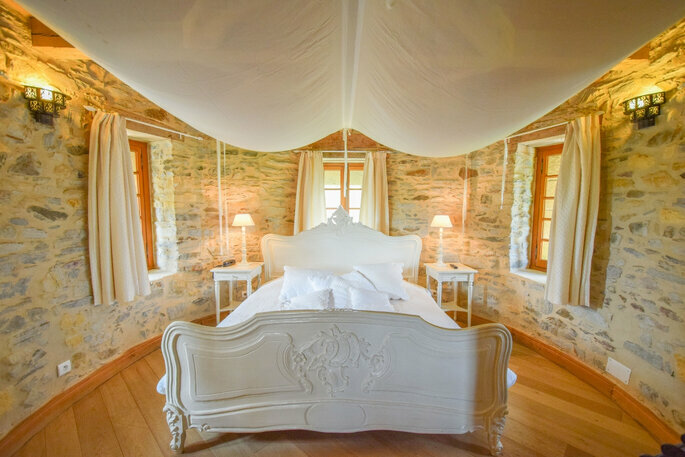 And let’s not forget the bridal couple themselves, who can make use of the incredibly romantic bridal suite, situated in the Medieval tower of the castle. All-inclusive packages for the wedding start at 98 euros per guest, which makes the whole wedding planning process so much easier. A package deal that includes everything is what draws couples towards destination weddings, often considered cheaper yet more spectacular than planning a wedding at home. 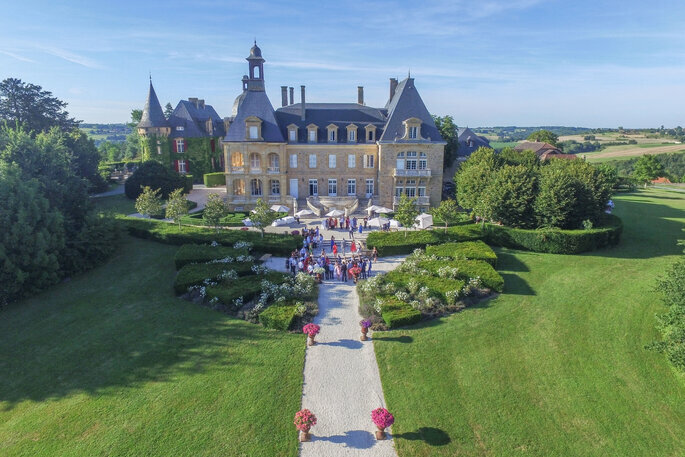 So, if you fancy a fairytale wedding in France then look no further than Domaine d’Essendieras. Here, you can easily plan a wedding for up to 250 guests, with accommodation, incredible food, and a magnificent trip of a lifetime. The Hotel is located on the seafront of the world-famous Barceloneta beach, which makes it one of the most iconic and emblematic hotels in the city due to its excellent location on the shores of the Mediterranean. Let yourself be captivated by its modern and avant-garde style, and live an unforgettable experience. Rural weddings are for couples that love the countryside. Here's our top 5 rural-chic destination wedding venues in Europe, simply choose the one that best suits your style and location preference! Discover the reasons why these five amazing hotels in Mexico are the perfect locations for your Yes I Do abroad. A dreamy destination wedding venue, where architecture, the vivid colours of the Mediterranean and a warm welcome guarantee a wedding reception that conquers your senses and your imagination. Planning a Winter Wedding With The Bingham: Everything You Need To Know! Amy Braund from the Bingham in Richmond tells us all we need to know about planning your perfect winter wedding - discover her top tips now, and learn more about this fabulous venue! Here's some facts you may not have known about historic villas, complete with recommendations for elegant destination wedding venues. Whether you're looking for a romantic symbolic ceremony, or the chance to renew your vows on the beach, there is no place finer to celebrate with your partner than at one of the hotels that make up the sensational Zanzibar Collection in Tanzania. Find out more now! Although there are many destination wedding styles, luxury villa weddings in Italy are a hot trend for 2019. Villa Balke, situated in the Gulf of Naples, is synonymous with elegance.